Most people roll to school in a car or bus – maybe on a bike. Yael skateboards to school. 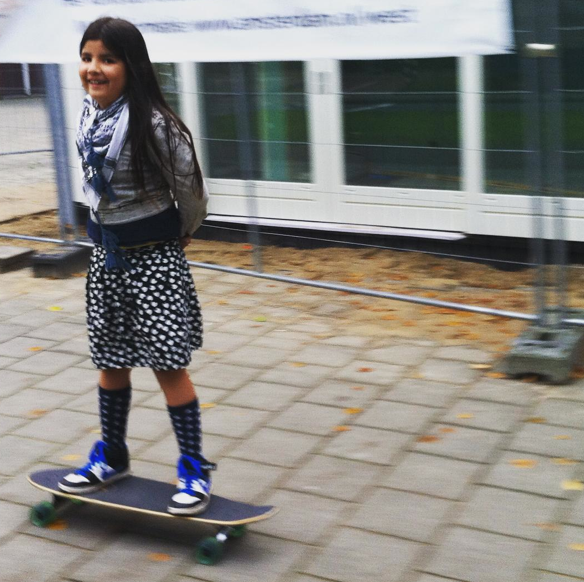 Her mom chiara_spruit shared this picture and said Yael would love to have more girls skating in Amsterdam, Netherlands. Well that’s why we’re here – more girls skateboard when they see girls skateboarding. Can’t wait to see more pics from skater girls in Amsterdam. Previous PostTactics Supports Skater GirlsNext PostGirls in South Africa on a Mission to get More Ladies Skating!